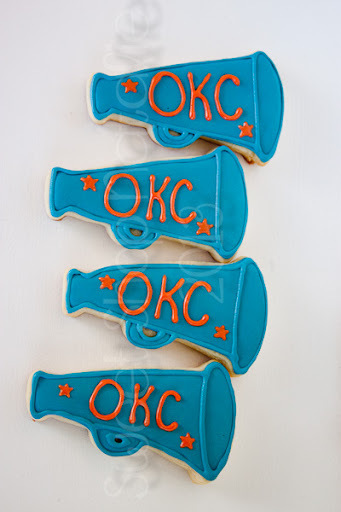 Courtney wanted some cookies for her 10 year old nieces birthday. 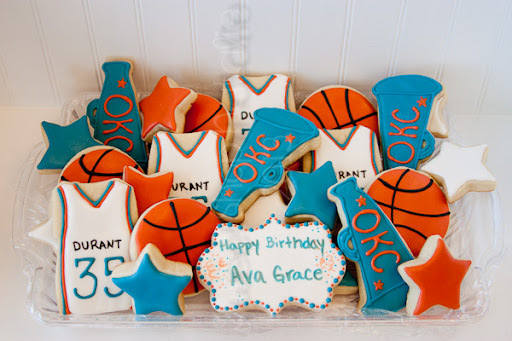 Ava is a die hard OKC Thunder fan. 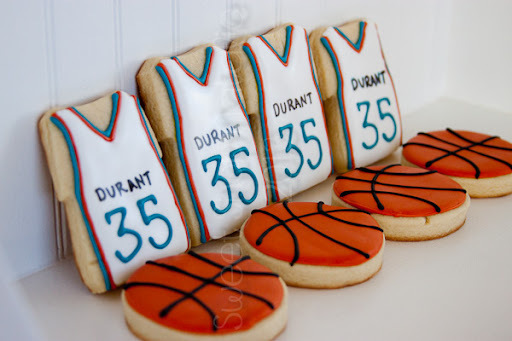 Durant is her favorite player on the team, so we did some jerseys and of course basketballs. Added some stars to finish off the platter and it turned out great.